Cats are not small dogs--> what is the mutation cats have, and what does this imply for their liver metabolism? Felidae have a mutation in exon 1 of UGT1A and a low expression of UTG2B (this is Glucuronosyltransferase) AKA THEY DO NOT GLUCORONIDATE WELL. Then, their Alternative pathways have a very limited capacity: sulphation is one option but this often leads to toxic metabolites. (said in class) owner runs in with dog that ate a bunch of tylenol-- what do? make sure they vomit, then activated charcoal or something that binds, aggressive fluid therapy-- all comes down to minimizing exposure, esp minimizing exposure to liver. after absorption in circulation-- if can get rid of through diuresis- do it (so fluids). 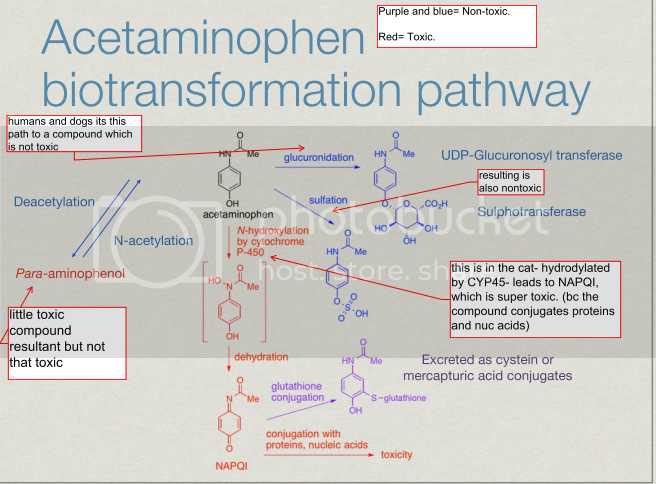 Dogs vs cats with acetaminophen.. Dogs have a higher biotransformation dependent tolerance... why? diff between dog and cat-- dog ultimately has a diff diet. cats in general are strictly carnivores and dogs are more omnivores. so widest metabolism abilities (and subst of CYP450) is in herbivores bc eat plants and plants have more chemicals than meat, so herbivores have the best CPY450 system. but cats are strict carnivores...so least amount of metabolic ability. ogs somewhere in the middle-- which is why dos have a higher biotransformation tolerance. The anti-oxidant dream... why are antioxidants helpful? what do they do? 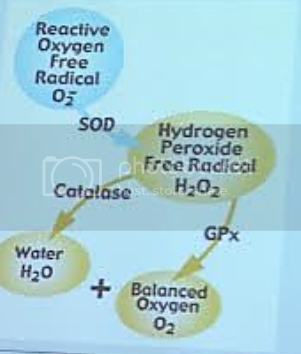 Oxidative stress leads to non-speciﬁc mechanisms of cell injury. Anti-oxidants can reduce this oxidative stress. 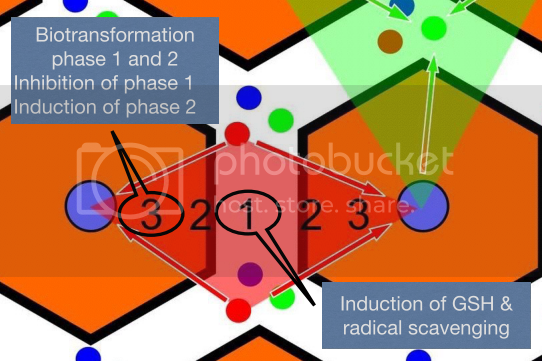 Radical scavengers and inducers of SOD, CAT, GSH and GPx. There are many plant anti-oxidants, like Silymarin - Ginseng - Brassica spp. - citrus, etc. how can toxins induce oxidative stress in liver cells? 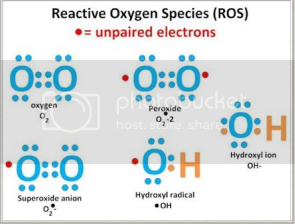 through formation of oxygen free radicals (ROS=reactive oxygen species) which are non-specfic mechanisms of tox. 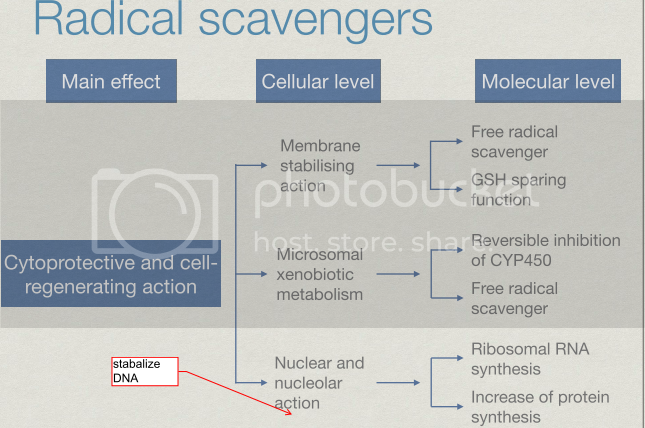 Radical scavengers: what is their main effect? on a cellular level? on a molecular level? what are free radicals? what is an antioxidant? 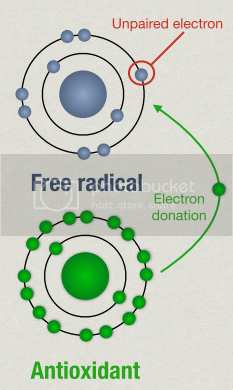 unpaired electron which can destroy cell membranes... has a free electron it can donate to the free radical. what is vitamin E important in? Vitamin C? Vitamin A takes up one of those free radicals, important in getting rid of the O2free radicals. but to get rid of them needs vitamin C-- so they work together. glutathione plays important roles in... preserving liver fxn, preserving the liver in general, and the prevention of oxygen free radicals. what is N-acetyl-cysteine (NAC) what does it do? can donate it's sulfide group (SH) which can then be used by GSH to improve it's radical scavenging function. (can also remember that it is a mucolytic bc it cleaves the SH bridges in mucus so good for bronchopneumonia. ALSO binds NAPQI so helps in tylenol intoxications... it is also renal protective bc it has an effect on the beta-lyase pathway ((kidney specific metabolism pathway) it also chelates metals so has an effect on heavy metal intoxications. what is s-adenosyl-methionine (SAMe)? what does it do? 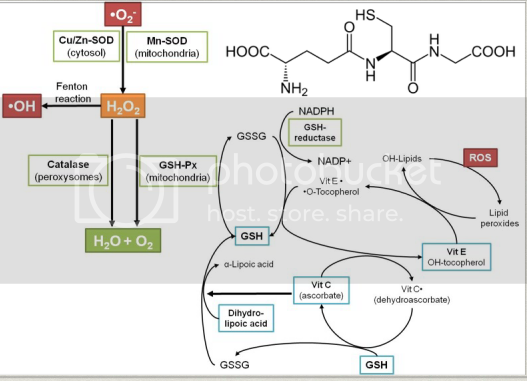 It INDUCES GSH (glutathione) synthesis. So methionine is converted into s-adenosyl-methionine (SAMe)...this leads to SAH and homocysteine,which are both toxic. 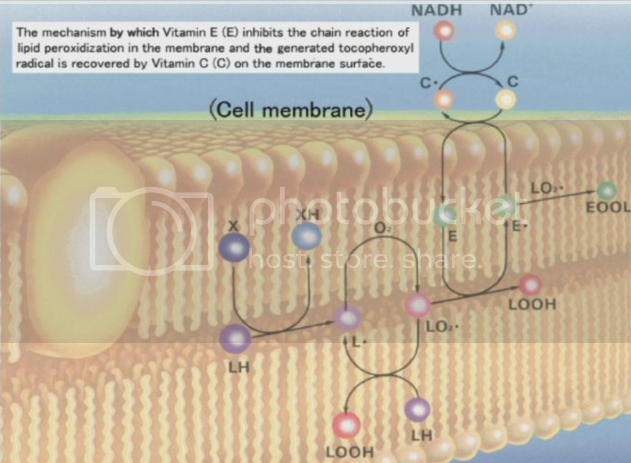 But, homocysteine has a really important role bc it can be converted into glutathione (GSH). so through admin of adenosylmethionine (SAM) we can start induction of the production of glutathione. 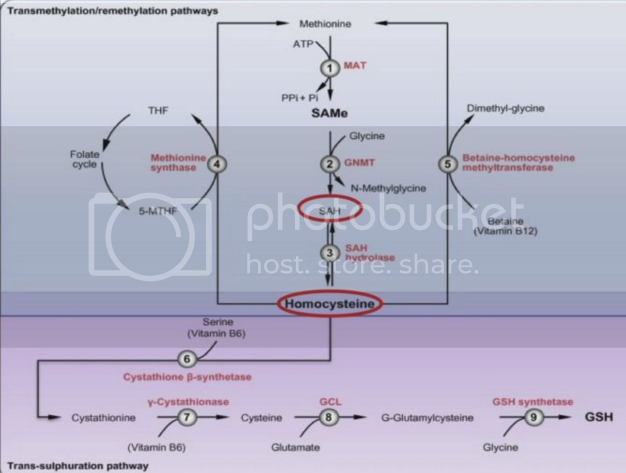 but depends a bit on how quickly homocysteine is converted into GSH via transsulfuration pathway. If it takes too long, can be converted into toxic substances, or SAH (Beware of toxic metabolites: s-adenosylhomocysterine) can linger and be toxic too. SO, SAMe can be used as an antioxidant bc induces production of glutathionine (GSH). 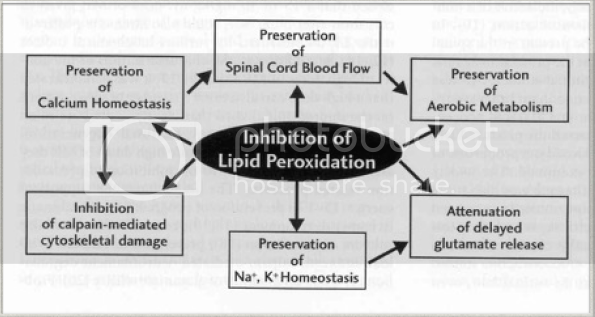 modulation of biotransformation--> what are the two options for this? (1) inhibition of CYP450 (2) induction of glutathione (GSH)/ UDP (glucuronidation) <--both of these are. So basically inhibit phase 1 metabolism and induce phase 2 metabolism. enhance excretion--> need to know where the substance is eliminated! If excreted in bile, what can we do, and how? 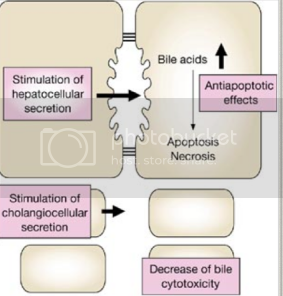 can inc biliary excretion. So there is a bile acid, Ursodeoxycholic acid (UDCA). You can use it in all processes with cholestasis bc it enhances biliary secretion and also protects against toxins by protecting cells in your bile ducts (cholangiocytes). Also stim hepatobiliary secretion and also protects hepatocytes.